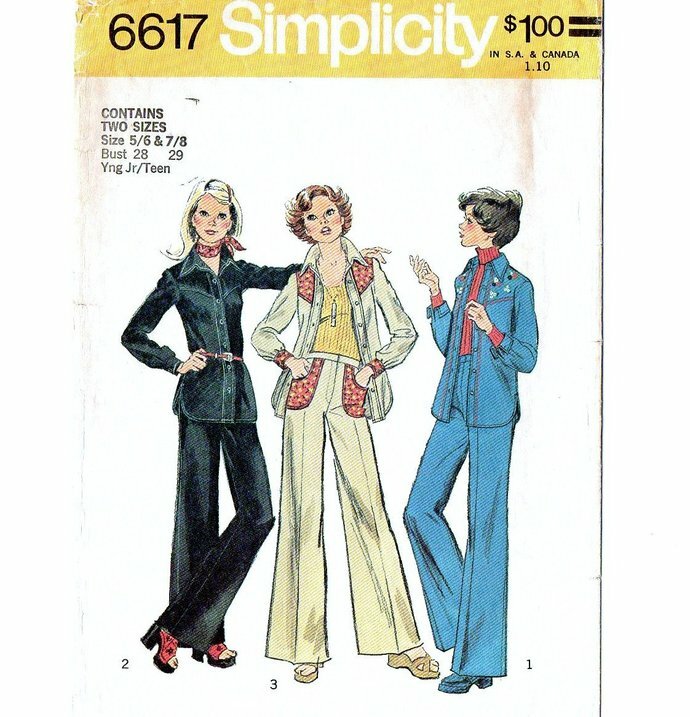 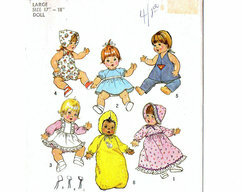 1974 Simplicity 6617 Vintage Sewing Pattern. 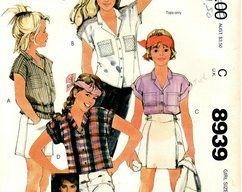 Junior Teen Shirt-Jacket And Pants: The top-stitched shirt-jacket with front band button closing has shaped front yoke, shirt type collar, curved slits in side seams and long set-in sleeves pleated to buttoned cuffs, trim variations. 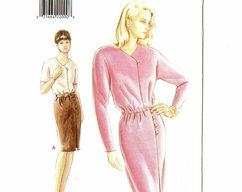 The top-stitched pants have fly front zipper closing and waistband, optional shaped patch pockets. 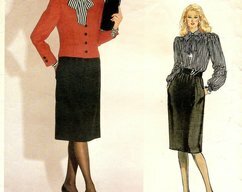 Condition: Very Good, cut to size 7/8.